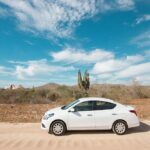 One thing you will notice when you travel by road in Mexico is the while there are laws of the road, most people don’t follow them. It isn’t unusual on highways to see a bus passing a bus who is also passing a car. It sounds a little crazy, and well, it is. The most common thing you see is people not stopping at stop signs. 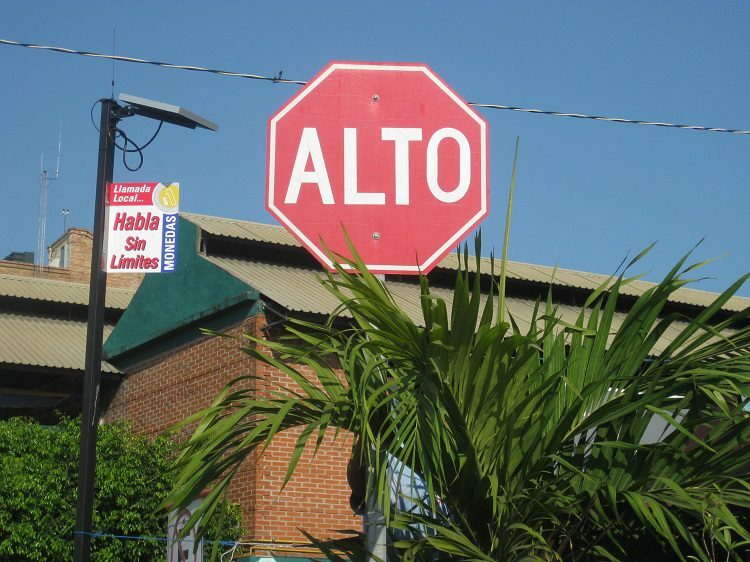 For those that don’t know Spanish well, “alto” means stop. It seems that stop signs are more of a suggestion than a rule, but it’s not recommended you completely ignore them like many people do. If the police are nearby they will pull you over and ticket you. There are four types of drivers when it comes to negotiating the stop sign. The Light Braker – this is the person who touches their brakes and slows down a little but doesn’t come near to stopping their vehicle. The Slow Roller – this is what most people do and that is to slow down the vehicle and slowly roll through the stop sign but never coming to a complete stop. The Rule Follower (a.k.a. tourist not from Mexico) – this is the person who does what the sign says and comes to a complete stop. 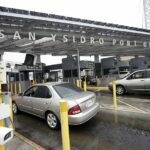 As a visitor to Mexico, it’s not recommended you choose to be number 1 or 2 above, and if you are nervous driving on foreign roads, be the Rule Follower. Many people start out following the rules and then become a Slow Roller, provided that you don’t see a police car. The smartest thing to do is just like any other place you drive, be aware of your surroundings. If you do see a What Stop Sign driver, get out of his way. Chances are he’s a danger to himself and everyone around him and almost certainly does not have auto insurance. Also, watch out for the guy in the far right-hand lane making a left-hand turn! Persona loca!! Ready to Get Your Coverage? Get a quote today for temporary auto, travel, and evacuation insurance.